 At NIKU Farms our objective is to connect you directly with your local farmers. We are the only company in Canada where you can order ethically raised meat and have it delivered to your home directly from the farm of your choice. When you order through NIKU, our farmers will pack your box and a 3rd party courier will deliver to your home directly from the farm. We’re an online farmers market! Heather from Big Rock Bison joined NIKU Farms a few weeks ago. Heather will be joining us at the Free From Show this weekend at the International Center and we will be sampling Bison Sticks at our booth. If you haven’t tried the Bison Package, you should! Meet Bill Park from Blackview Farms, the newest addition to NIKU Farms. Bill will be providing 100% Grass Fed, Grass Finished Beef products. Wait until you see the marbling in the Blackview Sampler Package, and don’t get us started on the Miami Ribs! Any guesses? This is a picture of a Joel Salatin approved pastured chicken shelter. Marlin from Marita Fields is busy building 60 of these so that he can provide more pasture raised chicken through the Spring and Summer! Learn more about raising pastured chickens here. Lisa from Stone Horse Farms has lots going on – new piglets everyday. Lisa is great at sharing news and updates at the farm on her Facebook page, so we encourage you to follow her page here. Lisa is offering a great Pork Package right now. It’s time to trust the meat you eat. When you order through NIKU Farms, you can expect full transparency and traceability with your meat. You will receive a package directly from one of our partner farms, and inside will be information about the farm and how all the animals are raised. No need to be home when it gets delivered since it will arrive in an insulated box with gel packs. Best of all, our packaging is 100% curbside recyclable. Subscribe to one of our subscription plans for free shipping. You have the option between getting a package delivered every 2, 4 or 6 weeks. The week before each delivery, you get to choose a new package to be delivered. Previous Post Introducing Blackview Farm!